Size: 16x25nches. Thanksgiving Greetings Towel. Peking Handicraft Inc. Handcrafted quality handcrafted linens for the home, home fashions, holiday celebrations, entertaining and more. Embroidered. Size: 14x22 inches. 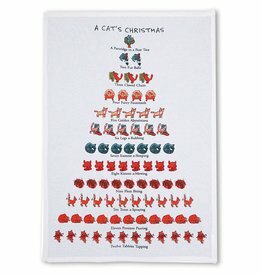 Thanksgiving Towel. 55% Linen 45% Cotton. Peking Handicraft Inc. Handcrafted quality handcrafted linens for the home, home fashions, holiday celebrations, entertaining and more. Size: 12x20 inches. Dog Stocking. Red Felt with White Felt Dangling Dog Bones and Paw Prints Stocking. 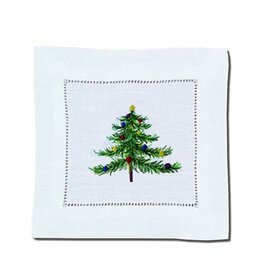 Peking Handicraft Inc. Handcrafted quality handcrafted linens for the home, home fashions, holiday decor. 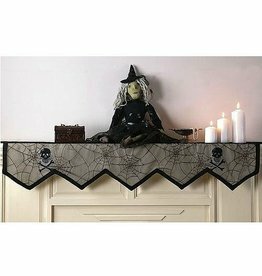 Skull w/ Spider Web Mantel Cover. Size: 18 inches X 86 inches. Poly/Cotton. Peking Handicraft Inc. Handcrafted quality handcrafted linens for the home, home fashions, holiday celebrations, entertaining and more. Happy Halloween Towel-Happy Halloween! - with Spider and Web. Size: 16 x 25 inches. 100% Cotton. Peking Handicraft Inc. Handcrafted quality handcrafted linens for the home, home fashions, holiday celebrations, entertaining and more.